Sharing a neighborhood with the White House, BLT Steak in Washington, D.C. brings our interpretation of the Modern American steakhouse to the capital. The menu showcases raw bar selections, our signature warm popovers, and top-notch steak and fish which are complemented by a selection of sauces like Peppercorn or Red Wine, and satisfying sides such as Grilled Asparagus and Hash Browns. The private dining room is the ultimate space for business lunches, cocktail parties and other special occasions.<br><br>The menu, organized by category, and complemented with corresponding savory sauces, guides diners to steakhouse bliss. 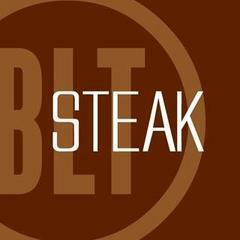 In addition to the Certified Black Angus or USDA Prime steaks, BLT Steak also offers American and Japanese Wagyu Beef best showcased as part of the Wagyu sampler on the menu.<br><br>Our award winning wine list features both New and Old World wines and a “short list” accompanies it, showcasing a smaller, bistro-style selection for convenience and ease alongside a curated cocktail list of hand-crafted and innovative libations.<br><br><br><br>If you do not see the position you are interested in listed below, please feel free to send us a resume to: careers@e2hospitality.com – we will do our best to reach out to you if there is a match!